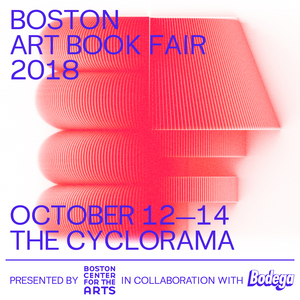 After a successful first edition last October, the Boston Art Book Fair (BABF) is back in full force, with numerous events spanning the course of this weekend. The BABF promises to attract visitors of all ages and artistic backgrounds with fine art, radical design, independent artists and galleries, academic publications and antiquarian collectors. The schedule for the event features a ticketed preview party at 6–10 p.m. on Oct. 12, as well as discussion panels, book signings and workshops at 12–8 p.m. on Saturday and 12–5 p.m. on Sunday with free admission to the public. The BABF was born as the result of a collaboration between the Boston Center for the Arts (BCA), and Bodega, the speakeasy-inspired streetwear shop in downtown Boston. Because of the way this event was conceived, the BABF exists at the intersection of different cultural circles and artistic media. For its 2018 edition, the BABF has also attracted diverse sponsors including Carhartt, Highsnobiety and the Boston Art Review. The BABF is thus meant to provide a different experience than what one would normally get when visiting a standard museum or exhibition space. In what is set to be its most ambitious edition yet, the BABF has more than doubled last year’s number of exhibitors present at the fair. The venue for the fair has changed in order to accommodate this growth, shifting from the BCA’s South End campus to the iconic Cyclorama building at the center of the BCA campus. Randi Hopkins, co-founder of the BABF and the director of visual arts at the BCA, said that the event’s success last year proved its potential in the Boston arts scene. Hopkins also said that an unexpected growth in the number of exhibitors led to the change of venue. Hopkins added that print has been regaining its popularity as a cultural and artistic medium. Hopkins also said that the BABF can serve as a space for self-expression and advocacy by bringing people together, citing the vital role print has played in politics and activism in history. Hopkins explained that she has worked with Mak, the other co-founder, to keep the BABF as accessible to many people as possible. “After many years of working with experimental and emerging art in Boston, I wanted to share the excitement of original work with a broader range of people — you don’t need a degree in art history or [an] extensive museum — or gallery-going experience to get excited about the great design work and important themes and topics that you find in zines and album art and independent presses and low-tech prints, all these wonderful forms of visual culture are so dynamic and art book fairs are a great point of entry into them,” Hopkins said. 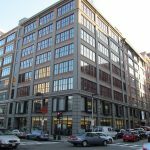 Harvard’s Carpenter Center for the Visual Arts (CCVA) is one of the organizations participating in the event, according to Daisy Nam, CCVA’s assistant director. Nam told the Daily in an email that CCVA is committed to the fair and that the organization hopes to connect with the wider Boston community. Both Hopkins and Nam shared the events they look forward to at the BABF. “We have a full line-up of programs taking place throughout the day on Saturday and Sunday, including a panel discussion [titled] ‘Street Culture and Print’ with editorial director of HIGHSNOBIETY, Jian DeLeon, a premiere screening of Art21’s new ‘Johannesburg’ episode followed by discussion, hands-on zine-making and book-binding workshops, and live broadcast with roundtable style discussion by Demo Radio… and more,” Hopkins said. Nam, on the other hand, said she prefers the medium of print. “We’re fans of Hassla, Capricious and so many other publishers. As for panels Publication Studio Hudson, who will be talking on [Sunday], is great. They’ve really opened up the way that artists, galleries, art spaces can print and distribute books in a sustainable way,” she said.